MummyPages.ie, Ireland’s largest community of mums, launches its ‘Back-to-School’ campaign. As part of the camapign, MummyPages.ie launch an interactive calculator to help mums budget for this costly time of year. 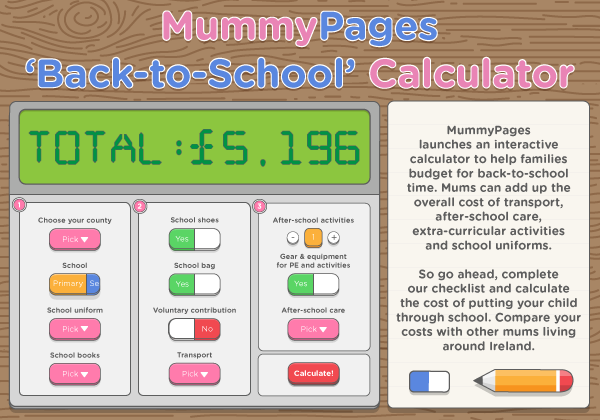 MummyPages ‘Back-to-School’ calculator help families estimate the overall cost of ‘Back-to-School’ time. Mums can add up the overall cost of transport, after-school care, extra-curricular activities and school uniforms.